In the wake of the horrific violence DSA members and comrades experienced in Charlottesville, Virginia on the weekend of August 12, 2017, several chapters of the Democratic Socialists of America from coast to coast created crowdfunding campaigns to support the activists who were injured. These funds were raised with the intention of providing financial support to the bodies on the ground who were subject to extreme violence throughout the weekend of Unite the Right — funds that could provide much needed medical care and trauma therapy and help offset the losses for those unable to return to work due to their injuries. Overall, the DSA was able to raise over $200,000 for this cause. The National Political Committee of the Democratic Socialists of America took over the fundraiser shortly after its creation. This happened amicably; those raising the funds believed the national-level DSA was better equipped to handle and disburse the large amounts of money that had been raised. Activists began reaching out to the Richmond, Virginia local of the DSA, and on September 21 members of the RVA-DSA steering committee contacted the NPC to inquire about the distribution of funds. The NPC informed us of their intention to work through an NGO whose policy is to require all victims requesting a payout file a police report about their involvement. Due to the current climate surrounding political activists, we insisted on not cooperating with any NGO that would require victims subject themselves to potential investigation by the criminal justice system. We see it as an unreasonable expectation to ask activists injured at the hands of domestic terrorists to put themselves in further danger by identifying themselves to authorities and potentially leaving themselves open to public attacks by the radical right or litigation by the State. After weeks of discussion between the NPC and the local chapters from Richmond, Charlottesville, Virginia, and Anchorage, Alaska (the chapter which originally set up the fundraiser), the DSA National Political Committee eventually suggested using an alternative NGO called the National Compassion Fund to help distribute payouts. The National Compassion Fund was created for the purpose of distributing funds raised to victims. They take no overhead and require no police report be filed by victims. At this time, however, it is unknown what procedure they use for authentication of claims. We do know that they store all personal information they gather inside their office building in a restricted-access file on a closed server. While we know that the NCF would keep everyone’s identities secure, a lack of further information regarding the claims verification process leaves victims unable to make an educated decision about applying for aid. Furthermore, although the NCF is a wonderful organization that serves a righteous mission, a significant downfall of their service is that the turnaround time on payouts takes significantly longer than many of our injured comrades can wait. As the weeks after A12 turned to months, Richmond DSA heard more and more frequently from injured comrades about their daily struggles with debilitating injuries, mounting medical bills, and their inability to return to work or pay their rent. Our Steering Committee continually requested that the NPC take immediate measures to release funds to injured activists. Eventually, the NPC recommended we come up with a proposal for distribution at a grassroots level. 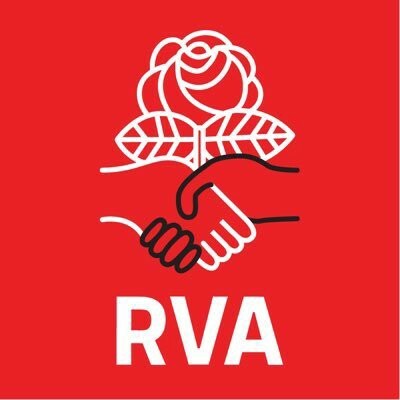 RVA DSA, in consultation with various local activist groups about their needs, drafted a proposal to disburse funds locally. Our plan called for the money raised for A12 victims to be held and distributed directly by the DSA and for payouts to be made directly to activists in cash. Our plan for vetting claims was simple; we would appoint officers from DSA locals that were positioned to reach those who had been injured. That way, if we were unable to immediately recognize and confirm an applicant’s involvement with A12, that person would have a local comrade to connect with who could verify their claims. This would allow the activist community to moderate itself and protect the personal information of payees by eliminating the need for a third party verification system. To ensure the appropriate allocation of funds, the only people allowed to approve claims would be individuals who were present at the events in Charlottesville. The funds would be directly disbursed by DSA stakeholders, ensuring they would be properly distributed. The greatest benefit of the RVA DSA proposal was that funds could begin to be disbursed immediately. That way, the injured could finally start to get the monetary support that they so desperately need and that many DSA members had generously contributed to. On October 10, 2017, we presented our plan to the NPC. The NPC elected to forward the plan to the Steering Committee for consideration. The Steering Committee of the DSA met over this past weekend to discuss the various options before them. They voted down our proposal in favor of using the National Compassion Fund. It has been over two months since the events in Charlottesville and none of the funds raised have been paid out. Injured comrades are justifiably frustrated with DSA’s inaction and their medical bills and unmet living expenses are only getting larger day by day. RVA-DSA shares in their frustration and disappointment at the ways in which the NPC has failed to act in a timely manner. As of right now, we have been given no concrete information regarding when the NCF expects to begin providing financial assistance to the victims of August 12th. Sadly, the closest thing we have been given to a timeframe for this aid to reach our comrades is February. We fear that a several-month delay in distributing funds will severely impact these victims. It is with no exaggeration that we warn that some of our comrades may end up homeless because of their mounting bills. DSA members were very generous in the days after A12 in donating to the victims of domestic terrorism in Charlottesville. Now, we ask that those victims finally receive the financial assistance they so greatly need, deserve, and were told to expect. 8/11–8/12 The Unite the Right weekend takes place in Charlottesville, Virginia. Accepted as a domestic terrorist incident organized by the “alt-right,” this rally resulted in over a hundred injuries and one murder. 8/12 Michael Patterson of the Anchorage DSA creates a GoFundMe campaign to support injured activists involved with the UTR rally. 8/29 Eileen from National DSA speaks to Jeff Dion of the NCF about using their organization to handle the funds; local chapters raise concerns about turnaround on payouts. 10/3 Spokespeople from the Richmond DSA, Charlottesville DSA, and the National NPC meet via conference call to discuss options. RVA DSA is recommended to write a proposal. 10/10 RVA DSA co-chairs, on behalf of the Richmond DSA, present this proposal to the NPC for consideration. 10/17 RVA DSA is informed by the NPC that the Steering Committee declined the proposal in favor of using National Compassion Fund for distribution. We are the Richmond branch of the Democratic Socialists of America.